Anas Modamani couldn't believe his luck. It was August 2015, and Angela Merkel was making a brief visit to the Berlin shelter where Modamani, a refugee from Syria, happened to be living. 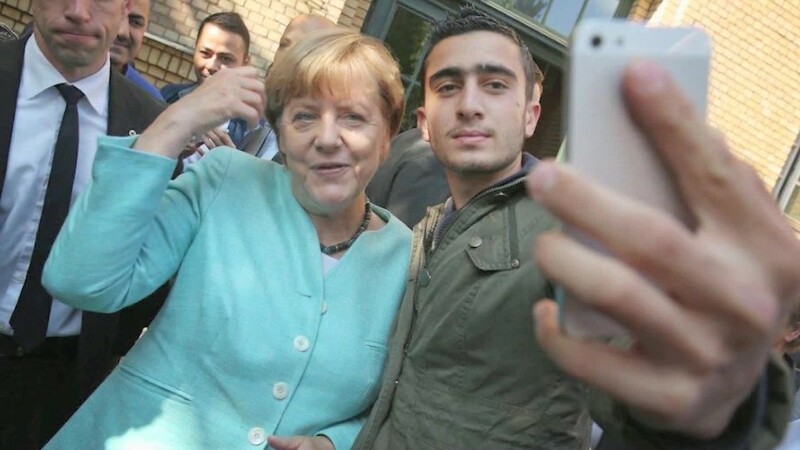 Modamani whipped out his mobile phone and snapped a quick selfie with the German chancellor. The selfie went viral. It was featured on the front pages of national newspapers and talked about on the nightly news because it captured the reserved German leader in a rare unscripted moment. But the photo was soon used for more nefarious purposes, hijacked by fake news producers who repeatedly used Modamani's name and likeness in social media posts about terrorism. "For the first five months, I thought it was a good luck charm," Modamani said. "But now I think it's bad luck." 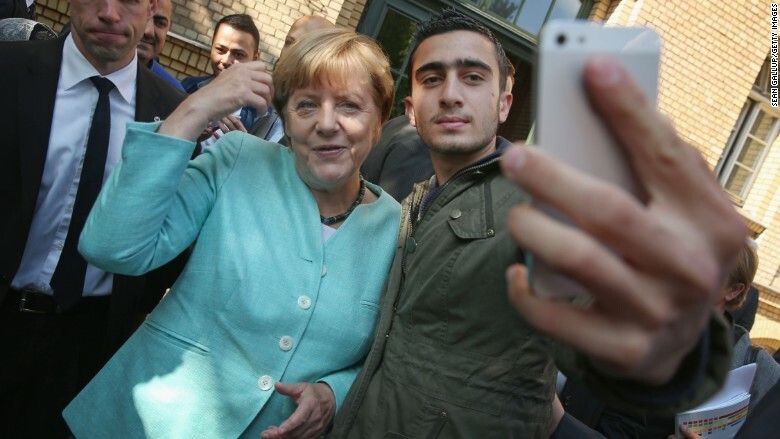 A news photographer captured Modamani snapping the selfie with Merkel. Modamani is seeking an injunction in a German court that would require Facebook (FB) to stop the selfie from being used in fake news posts. He is also asking for all existing fake news posts using the image to be deleted, according to his lawyer. The case will be heard starting Monday in Germany. In a statement, Facebook said: "We are committed to meeting our obligations under German law in relation to content which is shared by people on our platform. We have already quickly disabled access to content that has been accurately reported to us by Modamani's legal representatives, so we do not believe that legal action here is necessary or that it is the most effective way to resolve the situation." For Modamani, the painful saga began after the Brussels bombings in March, 2016. Modamani was by then living with a foster family on the outskirts of Berlin. He had a job as a cashier at McDonald's. Then a friend showed him a Facebook post that blamed Syrian refugees for the deadly airport bombing. "I saw my picture posted ... But of course, this was not me!" Modamani said. "I thought immediately: What does this mean? What about my future? This is really no joke now. This is serious." Anas Modamani at home on the outskirts of Berlin. Modamani and his foster mother, Anke Meeuw, flagged the offending post to Facebook and demanded that it be taken down. The post was removed from the social network, but by then it had been shared more than 200,000 times. 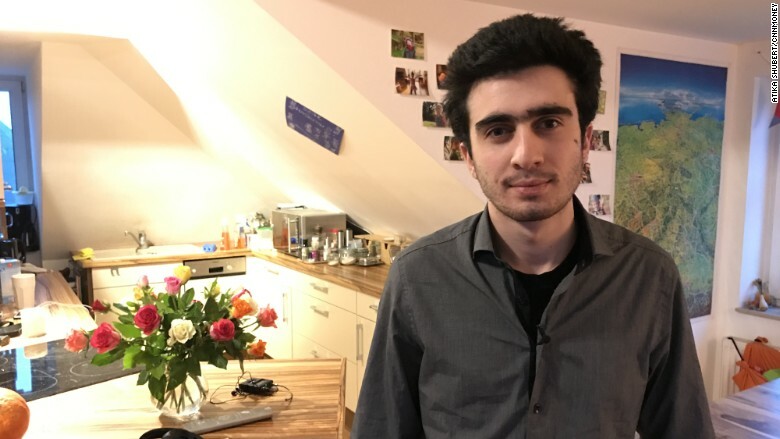 The pattern repeated: When a Syrian refugee was killed by a homemade bomb in the German town of Ansbach, Modamani's face was used in a fake news story about the incident. When a Tunisian man drove a truck through a Christmas market in Berlin, Facebook was flooded with false reports that Modamani was behind the wheel. "We kept using the online system to ask Facebook to take down articles," said Meeuw. "But we always got the same reply: 'This photo is not against their standards.' "
Modamani and Meeuw turned to Chon-jo Jun, a lawyer specializing in IT and media law in Germany, where there are strict rules prohibiting hate speech. Jun said that while Facebook did take down some of the fake news stories that used Modamani's photo, others were allowed to proliferate on the social network. Jun believes the case he's prepared could set a precedent: The court will determine whether Facebook has done enough by removing the offending posts, or whether it must also ensure that fake news stories using the photo cannot be uploaded in the first place. Modamani said that the fake news problem is not just limited to his case. "It is the problem of the world," he said. Facebook, meanwhile, is attempting to curb the spread of fake news and hoaxes after coming under pressure over the possible role of disinformation in the U.S. presidential election. With elections due later this year in Germany, the social network has started to attach warning labels to made-up stories seen by German users of the site. The country's own intelligence agency has raised alarms about a disinformation campaign. Facebook's efforts may not be enough. Germany's Justice Minister, Heiko Maas, has said the government is considering a law that would fine social networks for each fake news report they fail to remove. In the weeks before the court case, Modamani and Meeuw were trying to stick to a normal daily routine. Modamani speaks proficient German, but still goes to German classes in the morning and works in the evenings. Meeuw, who runs a veterinary practice, remains vigilant. She screens the mail and keeps an eye out for suspicious vehicles near their home. She is fiercely protective of the Syrian teenager who is now part of her family. "It has been a hard time with heartbreaking moments," she said. "My little daughter would see me crying. I could not tell her that the whole world thinks your big brother is a terrorist." Both mother and foster son acknowledge that taking Facebook to court may not stop the flurry of fake news. But they insist the court case is important. "I want to have my life back, our life back. This is what I fight for," Meeuw said. "We are real people. He is a real young man, living in real Germany, in a real family with real friends with a real job." "It has an impact on his real life," she said.